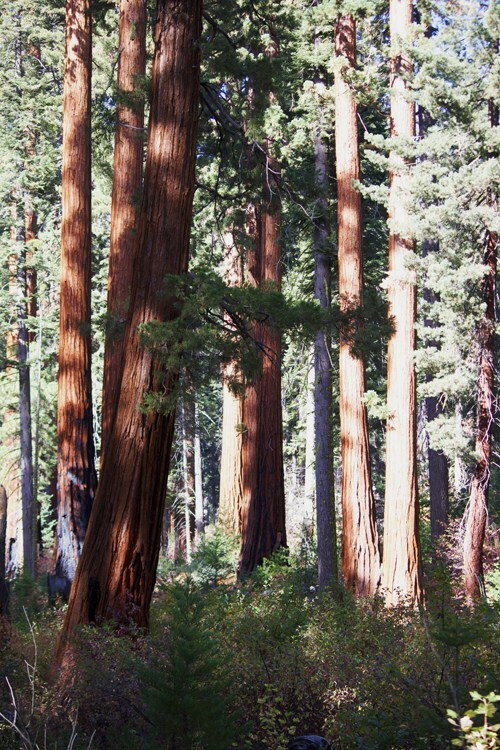 Articles « Sequoia Travel Network « ….a visit to the big trees and the mountains will enrich your world…. As a series of storms are crossing over California, they bring snow to the Sierra Nevada mountains. 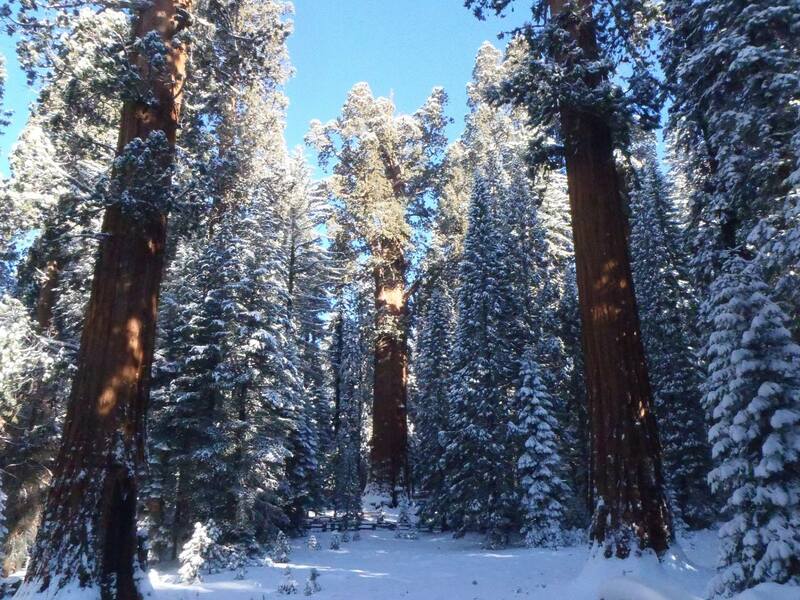 Chains may be required to go into the higher elevations of Sequoia and Kings Canyon National Parks. 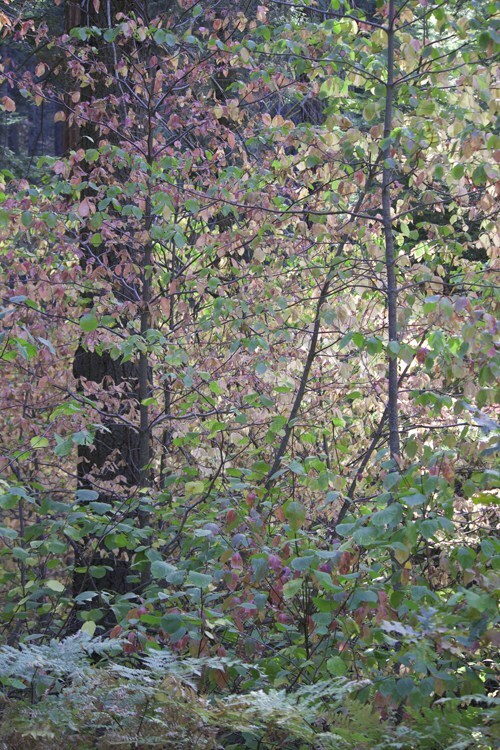 For information about the currant conditions, go HERE. 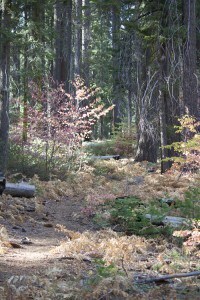 The Soldiers Loop Trail intersects with the road to Crescent Meadow at Tunnel Log. 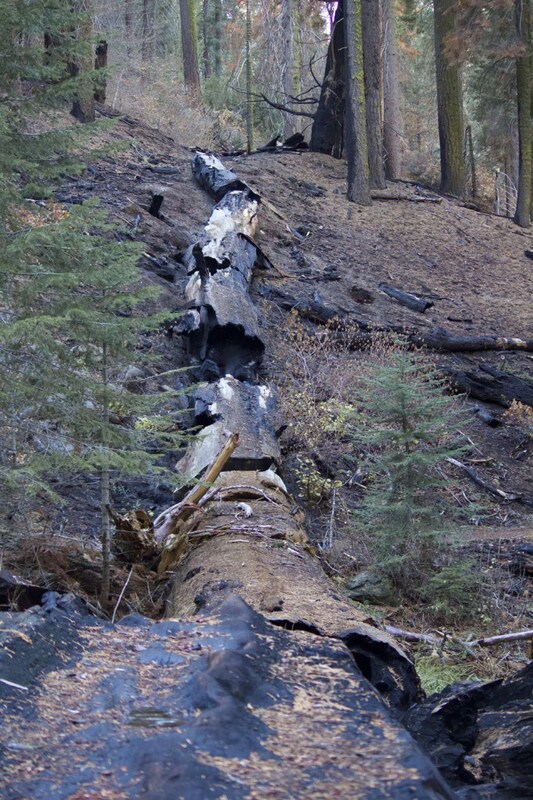 As you drive to Crescent Meadow, park in the paved area just before Tunnel Log on the right. Across the road (before the bypass turnoff) look for a sign that says “Museum 1.6”. 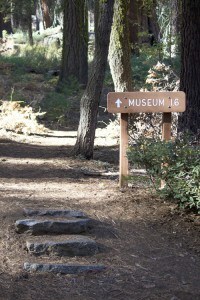 You can follow this trail all the way back to the Museum. It intersects with the Hazelwood Nature Trail as you get closer to the Generals Highway. 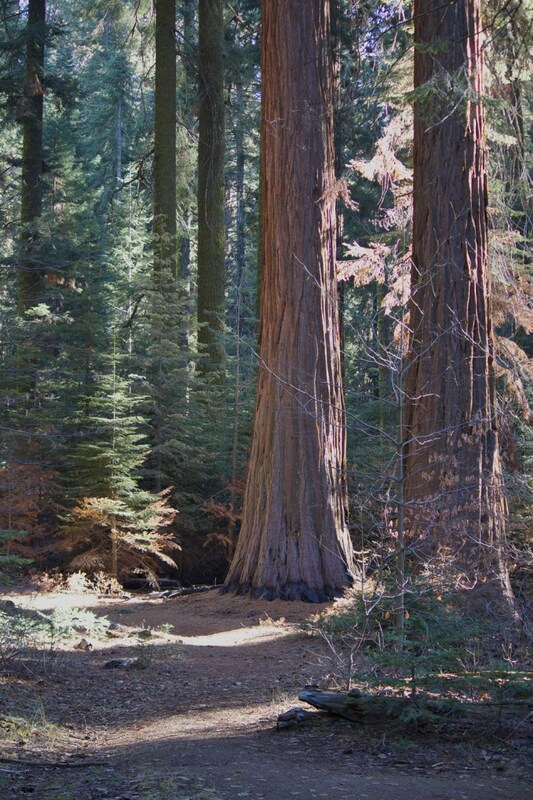 You can walk a short distance from Tunnel Log and see many beautiful Giant Sequoias. Soldiers Loop Trail was originally built by the US Army, which oversaw the protection of the Park from 1891-1913. Read more about this historical time HERE. 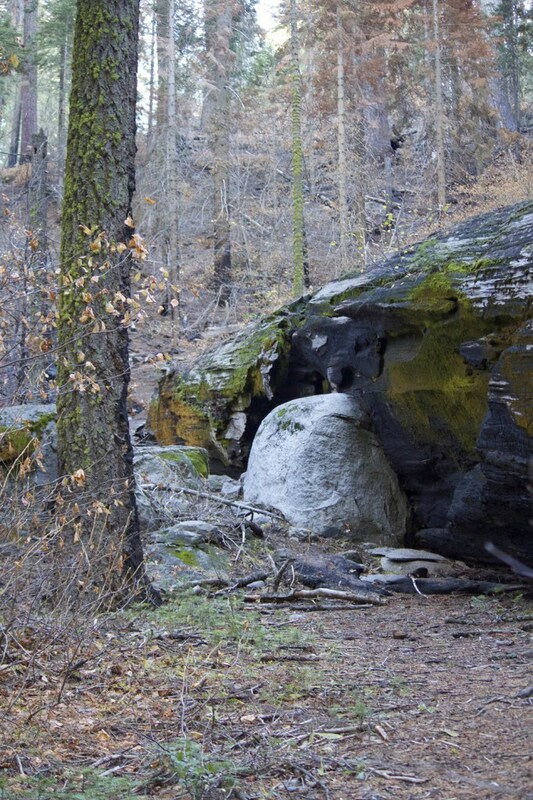 The full trail is a 4.6 mile loop, starting from the Giant Forest Museum, following along the Crescent Meadow Road to Moro Rock, then looping back past Tunnel Log through the heart of Giant Forest. 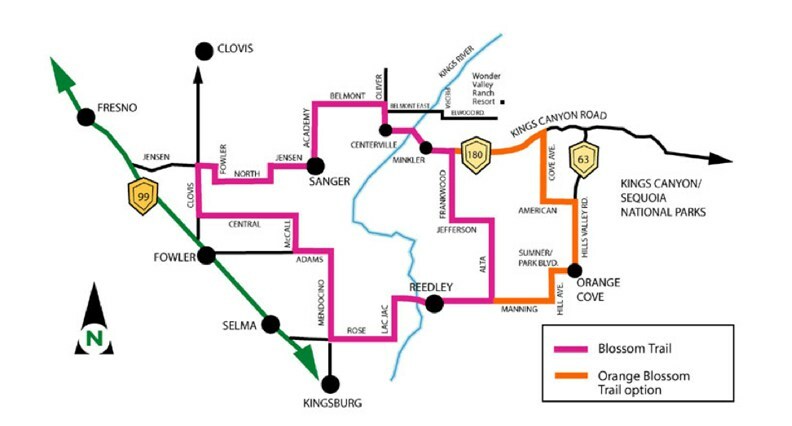 The Blossom Trail started 26 years ago and is about 70 miles long, leading you through colorful orchards of peach, plum, nectarine, cherry, apricot, apple and almond trees. 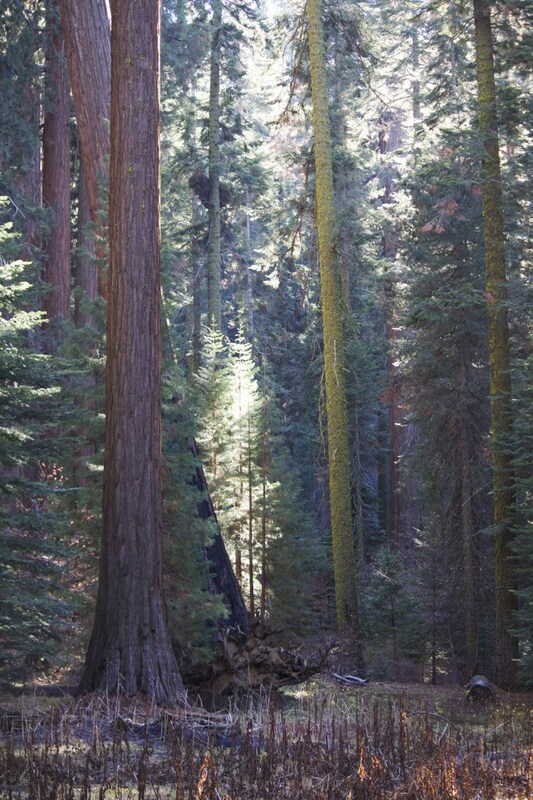 The trail is found in eastern Fresno County, near the north entrance to Sequoia-Kings Canyon National Parks. 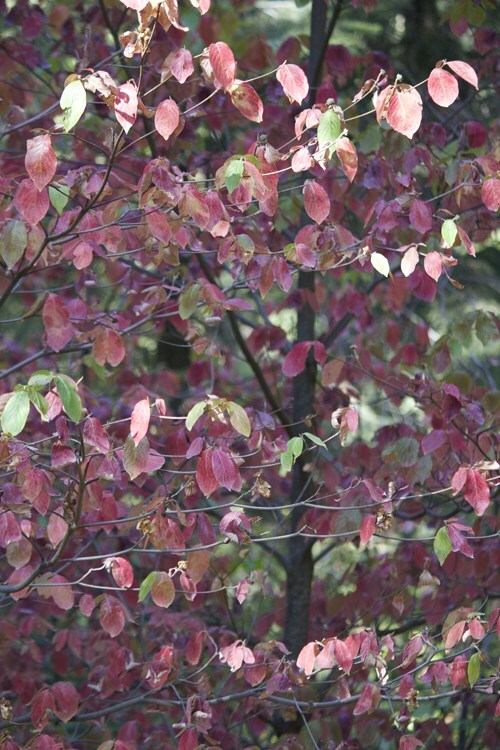 Stay up-to-date with the latest Blossom Trail news at twitter.com/GoBlossomTrail. Official website for the Blossom Trail is here. The route on this map is a suggestion for the official route to take. You can find orchards in bloom on many roads in this area, and also in Tulare County to the south, if you are using the main entrance to the National Parks. 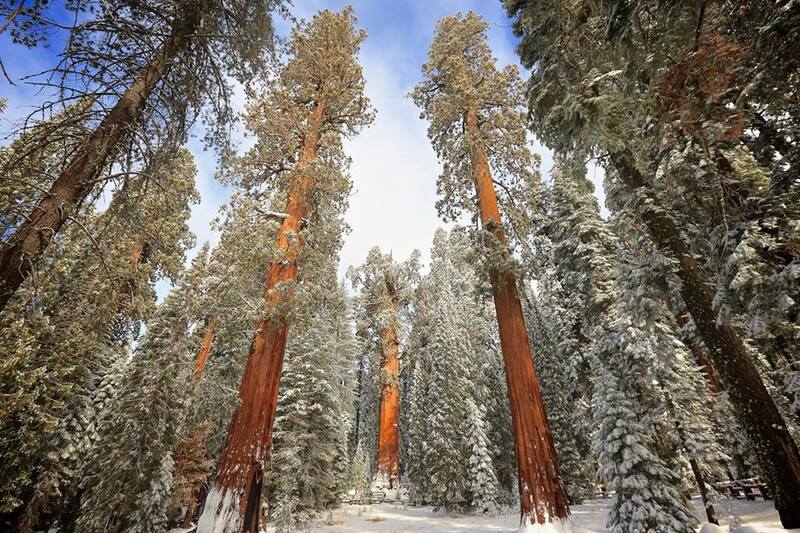 The official facebook page for Sequoia and Kings Canyon National Parks will open the voting for the 2014 contest next week. You will need to “like” the page to be able to vote. 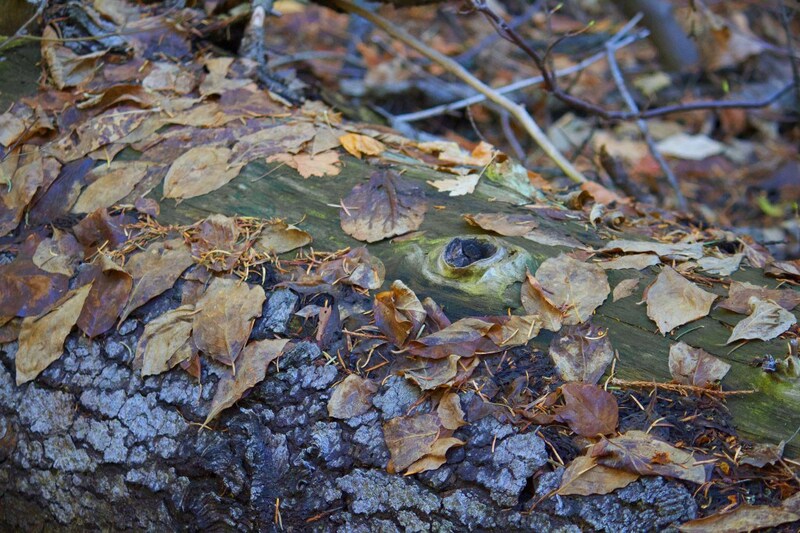 Over 100 photos were submitted this year. Winners will be announced around February 21. The Park Staff will set up a Facebook Photo Contest Album for the contest and fans can “Like” as many photos as they want as their votes. The number of photos for the “Fan Favorite” category could be limited based upon quality, appropriateness of the photo, and number of submissions. 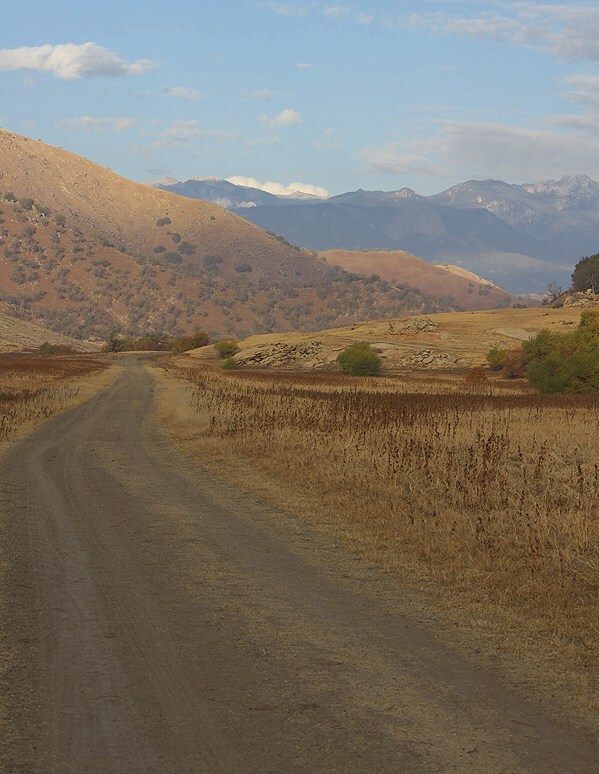 During the late summer, the fall and early winter months before the rains come again, Lake Kaweah offers some pleasant walking options in the dry lake bed. 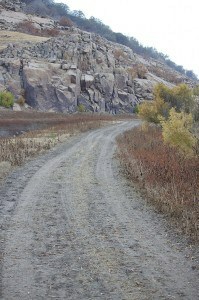 Part of the original highway route is still intact and you can walk along dirt road trails. Park at the Slick Rock Recreation Area for a $4 a day use fee ($2 for seniors, $15-30 for an annual pass), and walk across the lake bed toward the dam and boat marina for 1-5 miles. Because Lake Kaweah is a flood control lake, the Kaweah River swells with the Sierra snow melt and fills up to become the lake. Fishing, camping and boating are also available. Lake Kaweah is a reservoir near Lemon Cove in Tulare County, California. 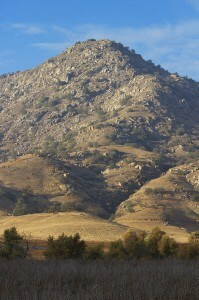 The lake is formed by Terminus Dam on the Kaweah River. 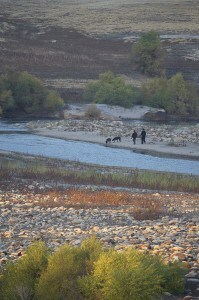 The river originates in the Sierra Nevada mountains and drains about 560 sq mi (1,500 km2) into Lake Kaweah. From Lake Kaweah, the river flows toward the city of Visalia, splitting into the Kaweah River and St. Johns River as it flows west into the Tulare Lakebed. The lake has a capacity of 185,000 acre·ft (228,000,000 m3). A project to raise the lake 21 ft (6.4 m) was completed in 2004. The lake now impounds an additional 42,000 acre·ft (52,000,000 m3) and downstream flood protection to downstream communities and agricultural land has been increased. Because its primary purpose is flood control, Lake Kaweah is maintained at a very low level or empty for most of the year, and generally only fills between May and June. Due to the limited capacity of the reservoir, large spills of floodwater often occur after large rain storms. Water is sometimes released as quickly as possible to maintain flood-storage space in the reservoir. During floods in 1997, the reservoir filled and emptied twice because of this operation regime. 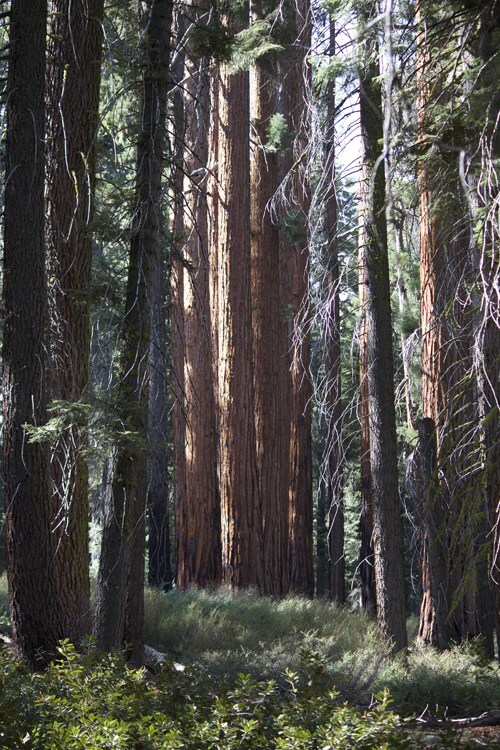 Past Lake Kaweah is the small town of Three Rivers, which sits at the main entrance to Sequoia National Park.